If you have any questions about our products, please contact us directly, our customer service team will always be here to help you. If you want to get relaxed after a tired day, you need a massager that truly reaches all the right spots. 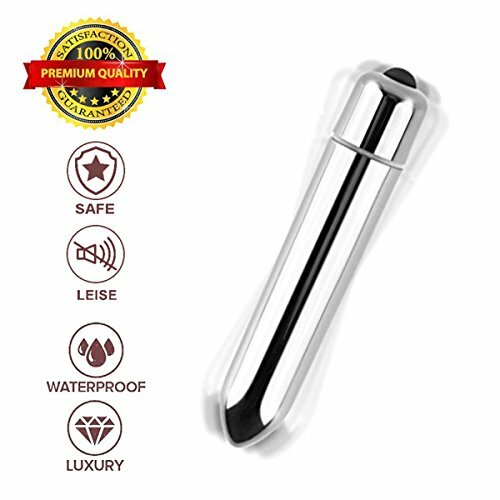 Our Bullet Vibrating Massager is a good choice. It provides an exhilarating massage experience,when you get a taste of its ultra-powerful vibrations, you'll forget everything but the incredible feeling. It's easy to operate, Easy to clean, Ease your Life. Strong motor with 10 different frequency, choose the strength as you wish It's the best gift for your wife or girlfriend, they will be extremely satisfied. Parameters for referrence: Low noise less than 40db. Charging Time: Less than 1.5 hours. Using Time: Over 2 hours. Size: 10cm X 2cm Battery: 3.7V/400mAh. 100% money back guarantee.If you are not completely satisfied with our LYNN Massager simply return the product with original packaging within 30 days for a full refund. Adoric affordable percussion massager get professional grade massaging at-home. You do not need to spend your hard earned money on spa massage services and those costly massage systems . Cause this one help you do everything at the same time. This handheld massager allows you to perform the process yourself, just by turning it on! Sit back, relax and enjoy a powerful massage that will leave you feeling refreshed, rejuvenated and alleviated sore muscles. Experiment with 8 Powerful Speeds & 20 Astonishing Vibration Modes and a 1 touch speed control to set your desired mode for thrilling pleasure. You'll see the LED light come on.The strong vibrations are transmitted through the premium-grade silicone head when activated by user-friendly buttons on the smooth plastic body. Turns out life in plastic really IS fantastic! Protable Size, Higher Performance Cordless and USB rechargeable along with portable size makes it the perfect massager for travel.The soft silicone is approved by FDA so it is safe to human body. Multiple Purposes It offers relief to your tired feet, legs, hips, waist, back, neck, etc. It relieves your muscle tension, body aches or pains and aids sports recovery. High Quality Battery It's rechargeable by USB and long lasting with a good performance on Quickly charge, No more half dead fun. Soft Touth In Hand Reasonable curve design, prevent slippery massage feel more comfortable! LED Indicator LED indicator flashes when it is charging. When it is fully charged, the indicator will keep lighthing. Attention: 1.Do not massage wounds, chest or throat area. 2.Do not use it when it is being charged. 3.The silicone is water-repellent, but to prolong its lifespan, please do not immerse it into water deliberately . Package included: 1 x AIMENO Wand Massager 1 x USB Charging Cable （The Charger is not included） 1 x User Manual Our Promise - 30 days money back guarantee and 1 year quaility warranty! We strongly believe in the quality of AIMENO Wand Massager! That's why, we are proud to offer a full 30 days 100% Moneyback Guarantee. Compare prices on Personal Vibration Bullet at ShoppinGent.com – use promo codes and coupons for best offers and deals. Start smart buying with ShoppinGent.com right now and choose your golden price on every purchase.